We have a few snowbird options still available and will consider a pet exception at several of them. Give us a call to discuss pet options. Early Summer Specials on Family Reunion Homes! Big Family or just like room to spread out? We have a few open Memorial Day week and June dates at homes with 8 or more bedrooms. See our specials page for deals at Dream Big, Lemonade Stand, LemonShello, Milty's Martini and Tuxedo Flats. Another fabulous house is joining the Morning Beach House family. If you like Morning Breeze, Morning Call, Morning Glory and Morning Tide, you'll be delighted with the newest addition. Morning View has 9 bedrooms, 11 full baths, 3 big living rooms, an elevator, a private pool, a handicap accessible suite and more. Follow us on Facebook to keep up with our progress. More News--Now There is More to Love! We hope you are enjoying our virtual tours and 3D images of our big houses. Keep your eyes open for Morning View, a beautiful new 9 bedroom beachfront home. We are so excited to announce that Hangin 10 is back! And LemonShello was just completed in 2018 so this will be its' first full summer. Be one of the first families to stay there! Tuxedo Flats new second (large) pool is phenomenal and a great addition to the small heated pool. Of course Morning View will have a great pool as well. We opened up Dream Big inside! You asked for bigger gathering spaces and a place where everyone could fit for meals, so we opened up the wall in the middle. We think you'll love it. Kings, Kings, Kings--We added 3 at Lemonade Stand and 3 at Dream Big bringing the total number of King bedrooms at each house to 9. Endless Summer got a beautiful update and 2 additional Kings. Lighthouse 1101 got a facelift and comfy new mattresses. Southern Breeze had a kitchen expansion, bath updates and more. And Life O'Reilly transformed into Milty's Martini with a major kitchen expansion, updates everywhere and the addition of a 7th full bath and a 2nd large laundry. It's been a busy year! If you had a chance to watch HGTV "Beach Flip" you probably heard the name "Morning Call" quite a bit. We had the pleasure of being a part of this show and Morning Call was the large house chosen to house the contestants. 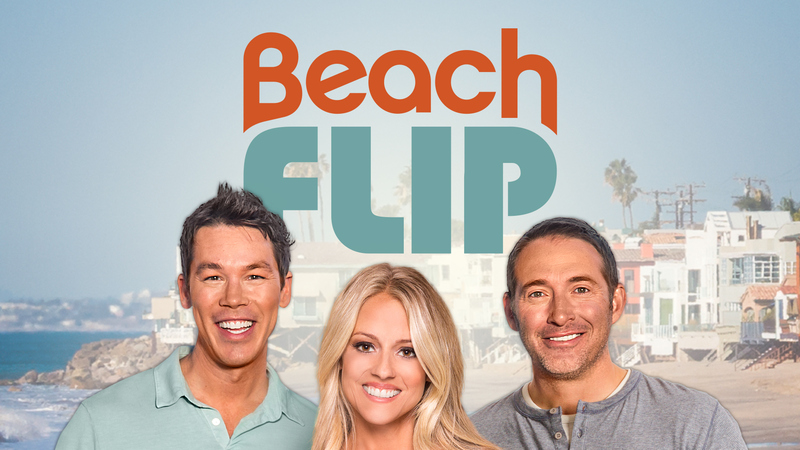 If you would like to book the house featured in Beach Flip click HERE.